The Friends of Devonshire Road Nature Reserve hope that some of you can make it to their Open Day on Sunday. As usual, it will be a nice relaxed afternoon in the nearest thing to countryside South London has to offer. 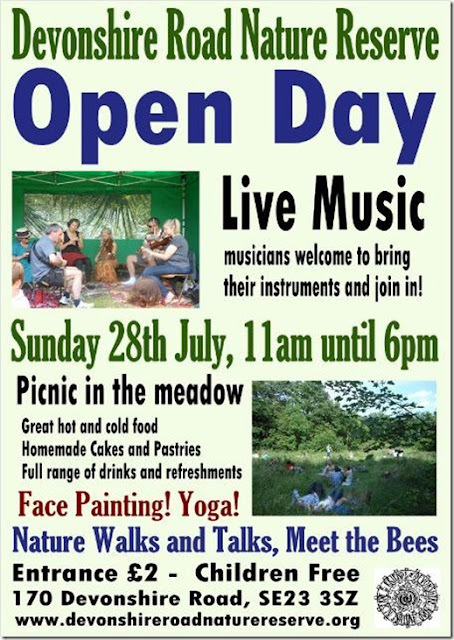 Musician friends very welcome to bring their instruments and join in.